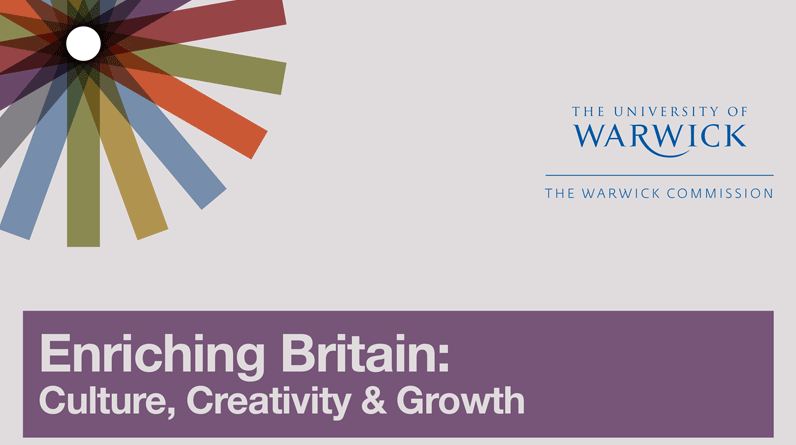 The Warwick Commission on the Future of Cultural Value will launch its report, Enriching Britain: Culture, Creativity and Growth, at 10am on 17th February. An electronic copy of the report will be available on this website, along with audio and British Sign Language versions. You can sign up to receive an electronic copy of the report HERE.